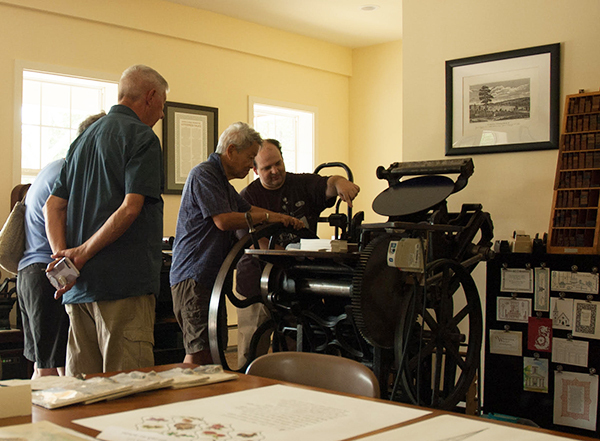 We enjoy hearing from wonderful members of the letterpress community on how the printing tradition has inspired them to their true calling. 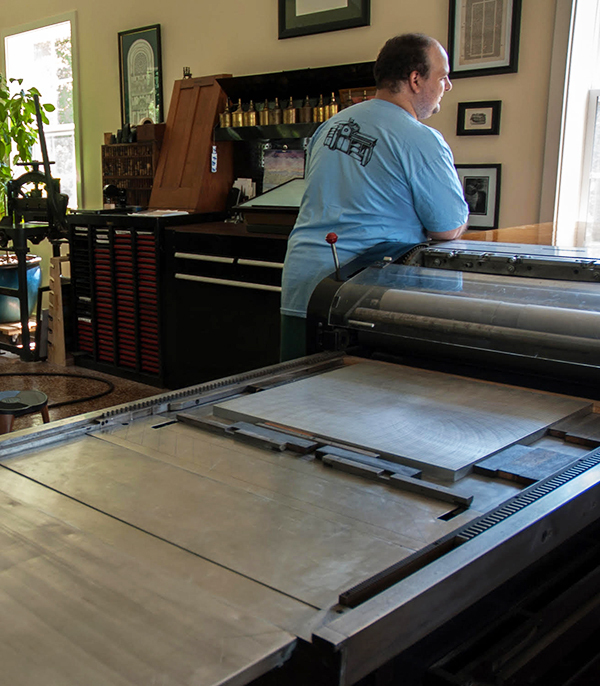 Aurora, NY-based Rob LoMascolo of The Press of Rob LoMascolo shares with us on why he is smitten with the printing tradition. Why do I love letterpress? Letterpress appeals to me on many levels, but I think it is the tactility of it that appeals foremost to many of us. You can feel and see the difference. When looking at crisply printed type with just a slight bite into the paper one gets the sense that each and every letter is a physical thing, not a digital recreation of a thing, but every letter is a real actual thing that is very much part of that printed sheet. My mom likes to tell people that in first grade we kiddos were all asked what we wanted to do when we grew up. Most of my classmates wanted to be athletes, firefighters or follow in their parent’s footsteps, but I wanted to own my own museum! Yup, visitors always say my shop is like a working museum. Letterpress combines my loves of history, art, design, books, old machines, and above all, it has a realness about it that is lacking from so much of our digital world. As much as I love letterpress for all those reasons, the reason I do it is simply because I have not found any better way. This entry was posted in Letterpress Is Fun and tagged .918, Letterpress Celebration Day, Letterpress Is Fun, New York, New York letterpress, rob lomascolo by Cathy. Bookmark the permalink.